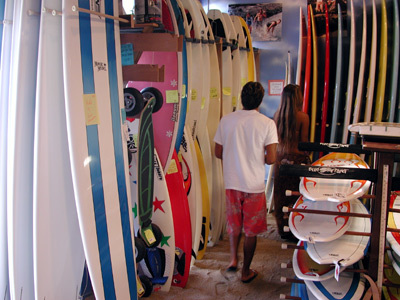 With humble beginnings tracing back to the swap meets of Aloha Stadium, Blue Planet Surf caught its first wave in 1993. Robert Stehlik founded Blue Planet Surf with a simple philosophy: Create surf equipment for surfers, by surfers. What started as a two-man operation on the island of O’ahu has grown into a worldwide SUP and surf brand. With key distributors now in Australia, Canada, Europe, Philippines, Japan, Fiji, Guam and beyond, getting on the water with Blue Planet has never been easier. The name, Blue Planet, was derived from the awe-inspiring view from an airplane window on a return flight to Hawai’i. While cruising at 36,000 feet, Rob reminisced how more than two-thirds of the earth’s surface is covered by water. It is only fitting that the same two-thirds of the earth that inspired Rob so many years ago, continues to inspire him today as Blue Planet extends its reach across oceans, rivers, lakes and waterways. The islands of Hawai’i have and always will be our inspiration for Blue Planet Surf. They are the reason for 6-hour surf sessions, 32-mile inter-island races, or waking up to train at 4:30am. They are the reason for 90-hour work weeks, unloading 40’ containers with a single friend or years of product and design R&D. 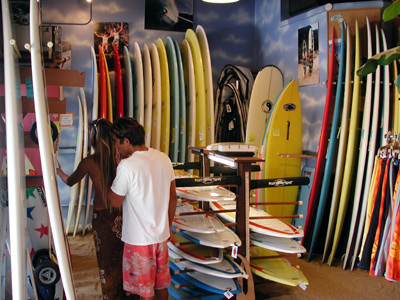 They are the reason we continue our tradition of creating surf equipment for surfers, by surfers. There is no place we’d rather be. For us, this is Paradise. Let us help you Find Paradise. Watch the video about the Blue Planet Fish logo story here. As stand up paddle boarders and surfers, the ocean is our playground and we need to act as its shepherds. We do our best to use environmentally responsible materials, conserve energy, recycle and try to minimize our impact on the environment and the oceans. We encourage our customers to do the same. Enjoy browsing and shopping on our website, and let us know if there’s any way we can help you find the perfect SUP/surfboard/gear for you. 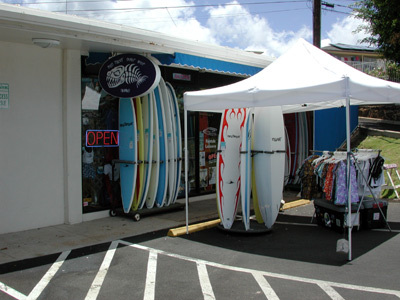 Thank you for voting Blue Planet as Hawaii’s Best Stand Up Paddle Shop.